Ever since being built and becoming the legendary vessel that it is today, the Titanic has captivated individuals for over 100 years. 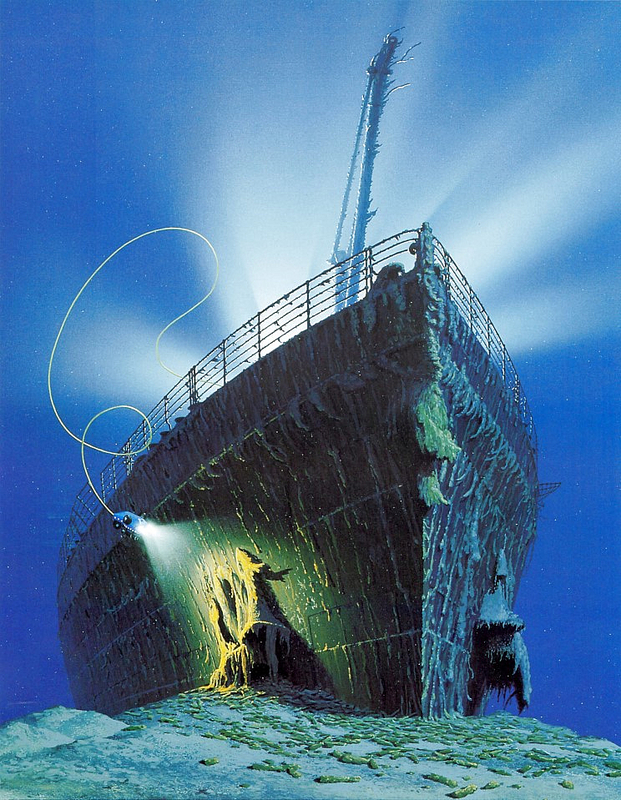 Its majesty and the unique story behind the Titanic have made it one of the most popular ships of all time and a great piece of history. 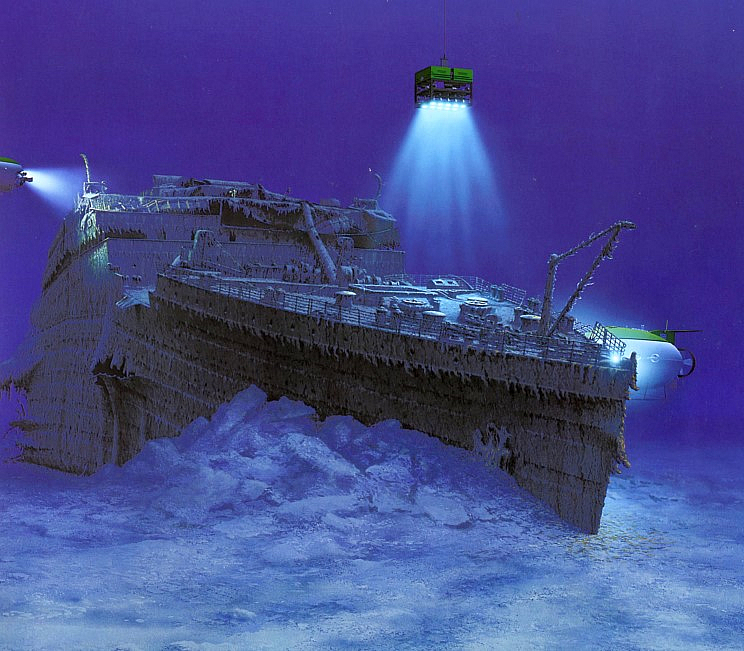 Now encrusted in a myriad of sealife near the ocean floor, the Titanic can be once again witnessed and paid respect to for a mere $40,000 per head in the RMS Titanic Dive Expedition. The journey will take place aboard the MIR I and II submersibles. These deep sea vessels are capable of reaching ocean depths of 20,000 feet and will be housed aboard the mother ship Akaemik Keldysh. Two of four submersible that are available to the scientific community, MIR I and MIR II are designed to withstand enormous amounts of pressure in deep ocean water. Each MIR will accommodate three individuals and the pressure is regulated in a similar way that space shuttles are regulated. Those interested in taking the dive will need to set aside some loot for the process. The dive is $40,000 a person making it an elite expedition that only a few individuals will have the money to enjoy. After the expedition is explained to those participating in the dive, the onboard crane on the Keldysh will place you and the MIRs into the chilly Atlantic waters. By 1,000 feet there will be no traces of sunlight and you will be in total darkness. The MIRs will run without exterior lights in order to conserve energy, but the pilot will flip them on every once in awhile to observe passing marine life. The vessels will eventually navigate you 12,500 feet below the surface where the Titanic wreck lies. Broken into two distinct sections, the demolished stern and bow are separated by nearly 2,000 feet. An outside video camera will record your experience and an 8mm video inside the MIR will keep track of the expedition as well as your reactions. 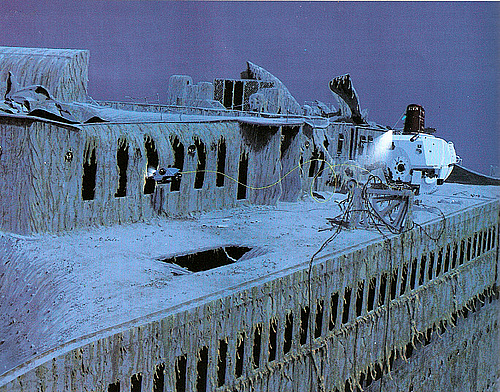 After the 2-3 hour romp around the remains of the Titanic, the ballast water will be pumped out and the MIR will begin ascending to the surface. After returning to the Keldysh, you will be treated to a hot Russian sauna and a debriefing. Owned and operated by the Moscow based P.P. Shirshov Institute of Oceanology, the crew and scientists of the ship have worked together for 15 years. They have conducted deep dive expeditions all over the world and specialize in covering underwater archeology, oceanography, and deep sea exploration. Aboard the Keldysh, your will experience first class meals and spacious rooms as you begin your expedition to the shipwreck of the legendary Titanic. For more information, please visit the official website of Deep Ocean Expeditions.